The valley cam is currently offline. Welcome to the Luther College valley-cam, offering a view of the beautiful Oneota Valley from the back of the Dahl Centennial Union. 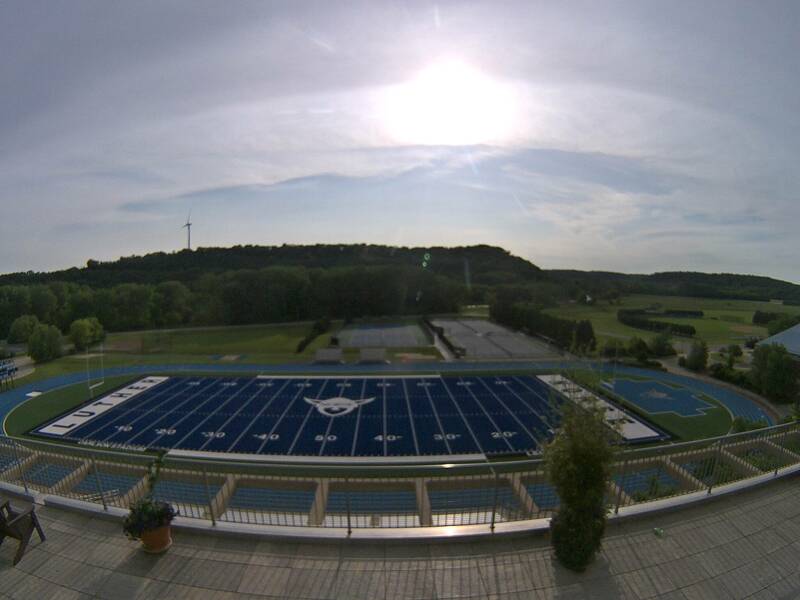 In summer 2017, the valley-cam will follow both the renovation of the college's 12 outdoor tennis courts and installation of blue AstroTurf for the new Legacy Field within Carlson Stadium. Tune in anytime to watch the progress. Valley Cam maintained by huintr01. Page last updated on 25 September 2018.